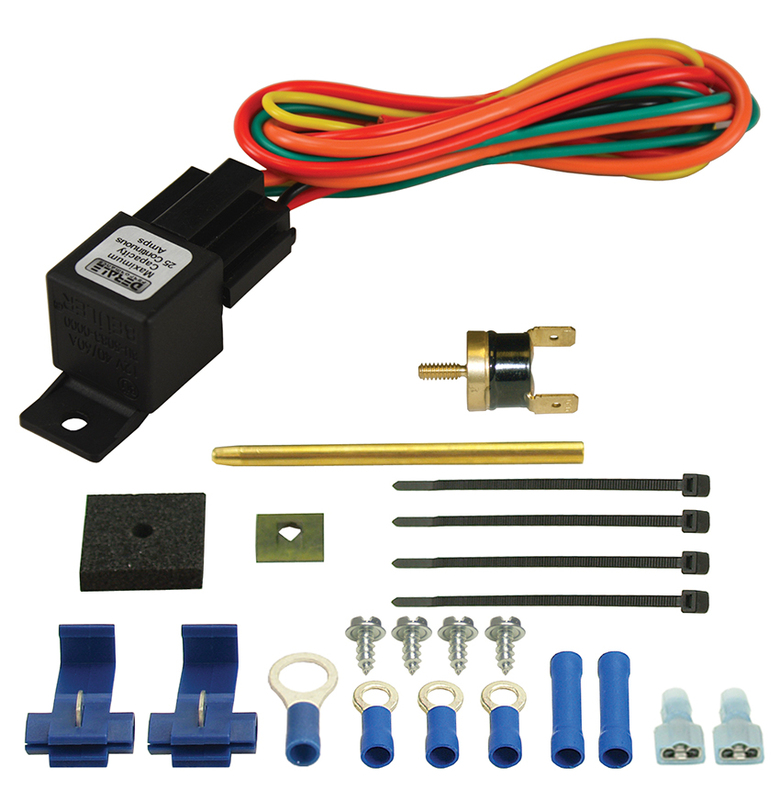 This 180°F-on/165°F-off electric fan control kit is designed to activate up to 2 fans with a maximum draw of 25 amps. Includes a push-in radiator fin probe, relay wire harness and electrical connectors for an easy installation. 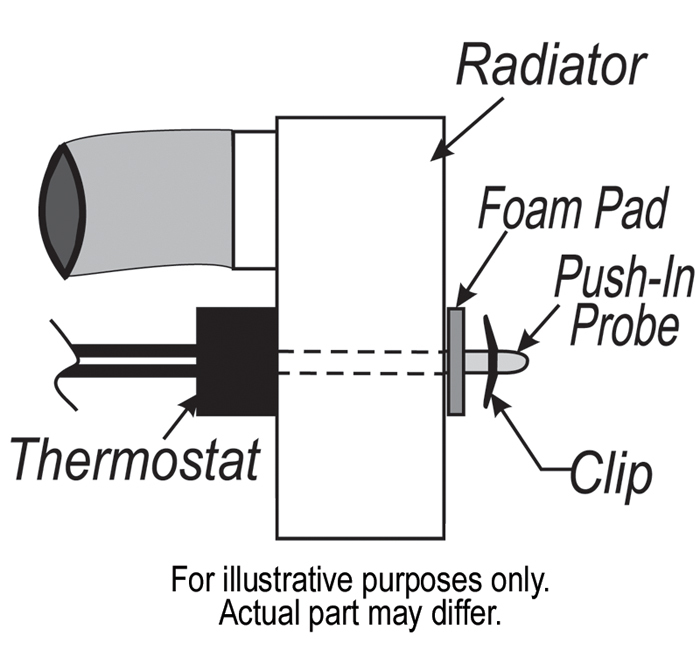 A/C override circuit included.